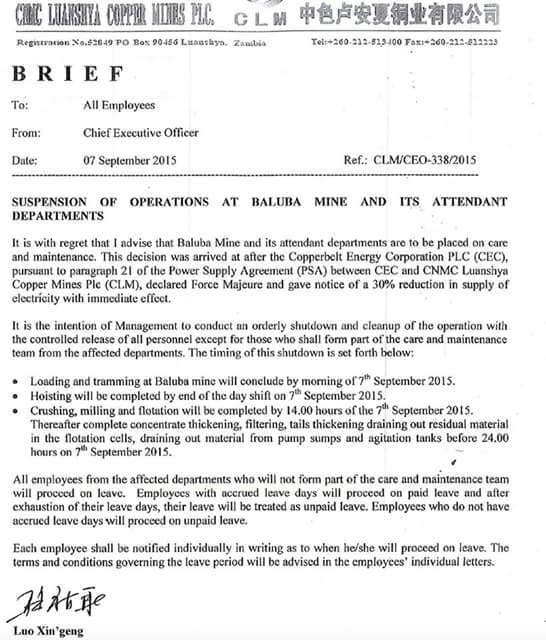 As we reported earlier the Chinese ownes Luanshya Copper Mine’s Baluba Underground operation has been closed and placed under care and maintenance. According to a notice by Managing Director Luo Xin Geng about 1,640 workers have been put on forced unpaid leave. Workers with accrued leave days have been put on paid leave but will be treated as being on unpaid leave their outstanding dues have been paid.